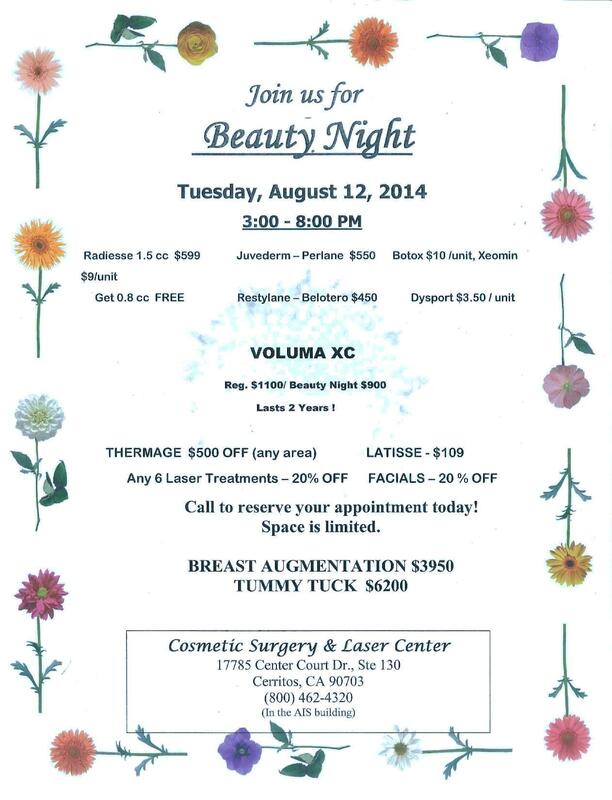 Join Us for Beauty Night on August 12! Once again, we will be offering special products for special prices to special customers. There are new sales but also new products for very special prices only on this Beauty Night. More importantly, you can become acquainted with our staff of expert nurses and assistants and ask questions about you particular condition without waiting or hesitation. Special Prices, Sales on Selected Items, free Information about Surgery, Laser Procedures and All Cosmetics Available!!! Do Not Hesitate – Places Are Limited! 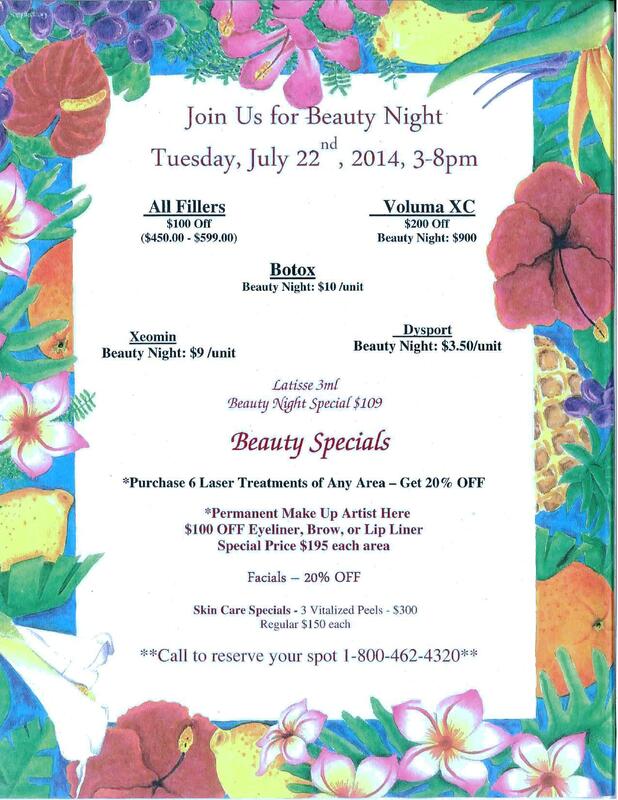 Come and Celebrate July 4th with US by Becoming MORE BEAUTIFUL! Make Yourself Happy! Make It Happen NOW! Come and get the best deals. A brand new laser, state-of-the-art technology available! Special deals on selected items. Do not hesitate and call our office for more information. Antibiotic prophylaxis of clean surgical procedures (e.g., elective operations on skin and soft tissue) is controversial based on a single randomized trial that showed benefit in breast and groin hernia surgery. The controversy persists because the incidence of superficial surgical site infection was so high (4%, versus an expected incidence of about 1%) in the placebo group. Evidence that antibiotic prophylaxis is indicated for soft tissue procedures of other types is lacking entirely, and prophylaxis cannot be recommended. 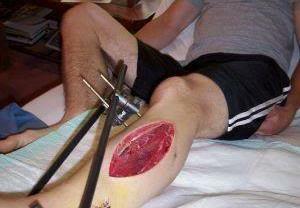 If administered, antibiotic prophylaxis should be given before the skin incision is made, and only as a single dose. Additional doses are not beneficial because surgical hemostasis renders wound edges ischemic by definition until neovascularization occurs, and antibiotics cannot reach the edges of the incision for at least the first 24 hours. Not only is there lack of benefit, prolonged antibiotic prophylaxis actually increases the risk of postoperative infection. Increasingly in the practice of plastic surgery, there is a tendency to leave closed-suction drains in place for prolonged periods in the erroneous belief that the incidence of wound complications is reduced by prolonged drainage. Nothing could be further from the truth. Data indicate that the presence of a drain for more than 24 hours increases the risk of postoperative surgical site infection with MRSA. Closed suction drains must be removed as soon as possible, ideally within 24 hours. Prolonged antibiotic prophylaxis is often administered to “cover” a drain left in place for a prolonged period. This is a prime example of error compounding error, and is a practice that must be abandoned. Explore new options and offers, including a brand new Candela laser and other non-surgical procedures. Fibromyalgia is a common health problem that causes widespread pain and tenderness (sensitive to touch). The pain and tenderness tend to come and go, and move about the body. Most often, people with this chronic (long-term) illness are fatigued (very tired) and have sleep problems. It can be hard to diagnose fibromyalgia. Fibromyalgia affects two to four percent of people, mostly women. Doctors diagnose fibromyalgia based on all the patient’s relevant symptoms (what you feel), no longer just on the number of tender points. There is no test to detect this disease, but you may need lab tests or X-rays to rule out other health problems. Though there is no cure, medications can relieve symptoms. Patients also may feel better with proper self-care, such as exercise and getting enough sleep. Temporomandibular disorder—often called TMJ (a set of symptoms including face or jaw pain, jaw clicking and ringing in the ears). There is most often some triggering factor that sets off fibromyalgia. It may be spine problems, arthritis, injury, or other type of physical stress. Emotional stress also may trigger this illness. The result is a change in the way the body “talks” with the spinal cord and brain. Levels of brain chemicals and proteins may change. For the person with fibromyalgia, it is as though the “volume control” is turned up too high in the brain’s pain processing centers.